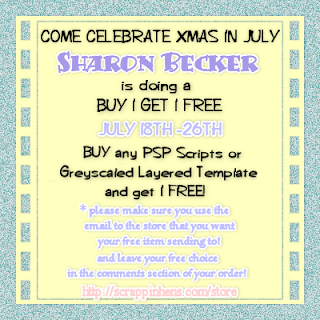 is having a Christmas in July Sale! all Designers have a Sale going on! a BUY 1 Get ! Free! only valid from 18th - 26th July! for the freebie to be sent to you! in the comment section of your order! so hurry and grab a bargain while you can!